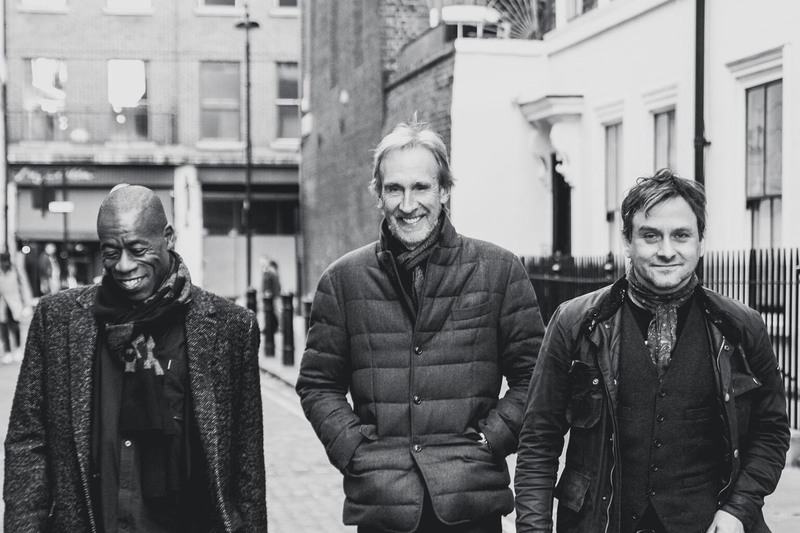 MIKE + THE MECHANICS – Mike Rutherford (guitars), Andrew Roachford (vocals, keyboards) and Tim Howar (vocals) – will release their ninth studio album, Out of The Blue, Friday, April 5 via BMG.. It captures the evolution of some of the band’s most loved hits throughout their 35-year career with brand new recordings (on deluxe version), as well as introducing fans to the band’s future with three brand new tracks: “One Way,” “What Would You Do” and the album’s lead single of the title track, which was released February 20. The first video clip from Out of The Blue for the title track can be seen below. 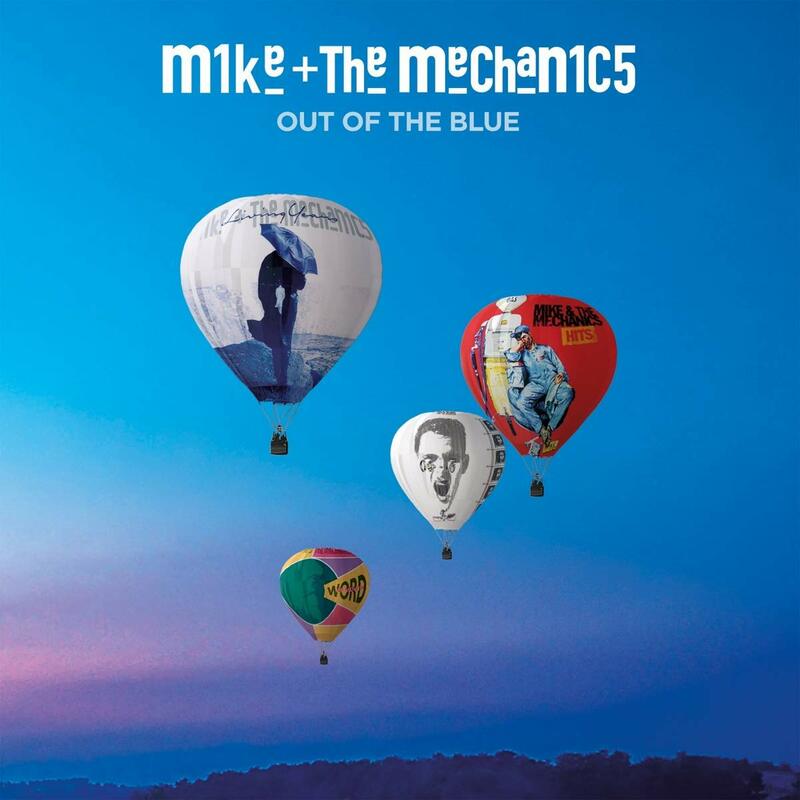 Out of The Blue will be available on CD, vinyl and on all digital outlets, and a special deluxe CD version will be available featuring six stunning newly recorded “as-live” acoustic versions of “Don’t Know What Came Over Me,” “The Best Is Yet To Come,” “The Living Years,” “Beggar On A Beach Of Gold,” “Another Cup Of Coffee,” and “Over My Shoulder.” Fans can pre-order the album and download the new song at any of these online retail outlets. MIKE + THE MECHANICS formed in 1985 by Mike Rutherford and originally featured Paul Young of Sad Café and Paul Carrack of Ace as frontmen. They immediately stood apart from their contemporaries with their unusual line up of two vocalists. Together, they achieved huge commercial success throughout the ‘80s and ‘90s with a series of albums including Mike + The Mechanics, The Living Years, Word Of Mouth, Beggar On A Beach Of Gold and M6. Astonishingly, the band started as a side project by Rutherford, but went on to become almost as ubiquitous as Genesis with a run of hits including “Silent Running,” “Over My Shoulder,” “All I Need Is A Miracle,” and the stunning U.S. and Australian #1 single, “The Living Years.” After Paul Young’s sudden death in 2000, the band released one further album before deciding to call it a day. Rutherford went on to perform a series of sell-out concerts with a reformed Genesis in 2007, before turning his attention once more to songwriting. Despite never expecting to start work with the Mechanics again, songs soon started to take shape and Rutherford invited singers Andrew Roachford and Tim Howar to work on the material with him. Together, the new line-up of MIKE + THE MECHANICS released The Road in 2011 and enjoyed huge success on a tour across the U.K. and Ireland. Following a series of sell-out tours through the U.K. and Europe, in 2017 they released a brand new studio album, Let Me Fly, their first in six years, which broke into the U.K. top 10. With Gary Wallis on drums, Anthony Drennan on guitar and Luke Juby on keyboards alongside Mike Rutherford, Andrew Roachford and Tim Howar, the Mechanics played a rapturously received U.S. tour in early 2018 before returning to the studio again to record new material.